INCLUDES MOTOR MOVER, ATC & AWNING! In 2017, Swift introduced the ultimate crossover camping vehicle; the Basecamp. This lightweight two berth has been designed for those active couples who want to get away all year round and still be comfortable. The two berth Basecamp features two bench seats to the front, a kitchen on the nearside and wash-room on the off side, with a rear entrance door. This Basecamp also includes the optional Plus Pack which gives you a solar panel, TV aerial, TV bracket with travel lock, external 230v mains point, external BBQ point, external shower point, door flyscreen and oven with integral grill. 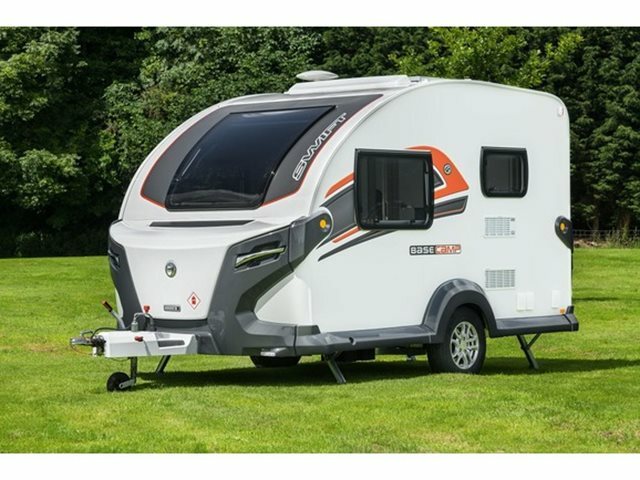 It also comes with Powrtouch motor mover, AL-KO 3004 stabiliser, AL-KO ATC stability control system and Vango air awning, to make this even better value! For more information please contact us on 01384 413336 and ask for the sales team.